Seoul, Nov 1 (AFP) North Korea slammed US President Donald Trump as "incurably mentally deranged" in a personal diatribe ahead of his first visit to Asia as head of state, amid high tensions over Pyongyang's nuclear ambitions. 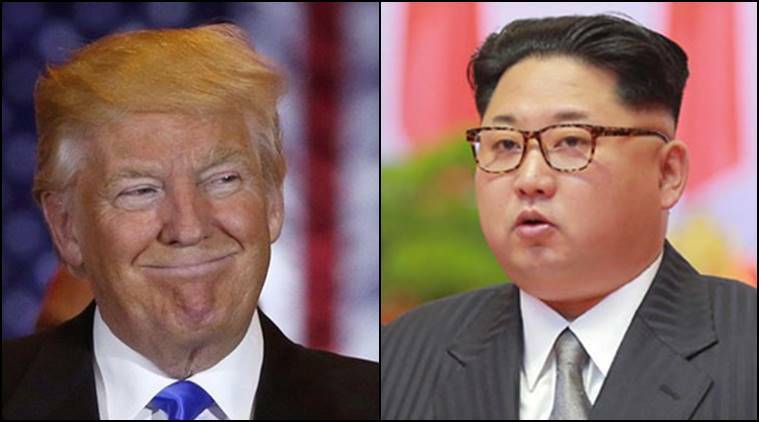 Trump and the North's leader Kim Jong-Un have traded threats of war and personal insults against each other in recent months, heightening worries about a potential conflict on the divided Korean peninsula. Trump has warned of "fire and fury" and "calm before the storm", telling the UN General Assembly that Washington would "totally destroy North Korea" if it had to defend itself or its allies. He dubbed Kim "Rocket Man" in the same speech -- Pyongyang has tested missiles apparently capable of reaching much of the US mainland -- and days later Kim responded with a personal statement calling Trump a "dotard", an obscure term for a weak or senile old man. The US president is due in Asia at the weekend and ahead of his arrival the North's state-run KCNA news agency lashed out at "bellicose and irresponsible rhetoric" by the "master of invective". "He absolutely needs medicine for curing his psychical disorder," it said. The US has deployed key military assets including jet fighters and aircraft carriers near the peninsula following the North's sixth nuclear test in September, which also saw the United Nations impose an eighth set of sanctions on the isolated country. KCNA described the sanctions drive as "desperate efforts" that would prove ineffective and Trump's hostile rhetoric as "hysteric spasmodic symptoms". Trump, it said late yesterday, "disclosed his true nature as a nuclear war maniac before the world and was diagnosed as 'incurably mentally deranged'". Trump's itinerary includes Japan, South Korea, China, Vietnam and the Philippines, with all eyes on his message to the North and Kim. Pyongyang says it needs nuclear weapons to defend itself against possible invasion by the US. During a November 7-8 visit to the South -- a security ally of Washington that hosts 28,500 US troops -- Trump is due to address Seoul's parliament and visit a US military base, although he will not go to the Demilitarised Zone that divides the Koreas.